Lester Flatt and Earl Scruggs were among the greatest bluegrass performers. 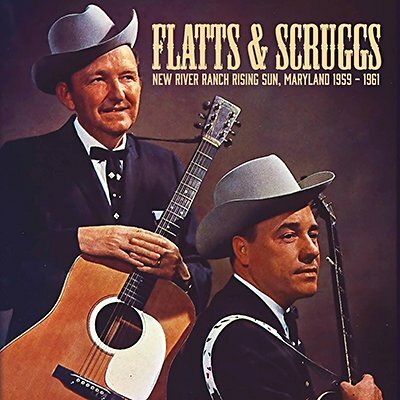 Recorded for broadcast at the New River Ranch in Rising Sun, Maryland between 1959 and 1961, this CD documents the pair in their prime. The wide assortment of material includes standards like 'Foggy Mountain Breakdown', 'Orange Blossom Special' and 'Gotta Travel On', as well as favorites from their early recording career like 'Dim Lights, Thick Smoke' and 'I'll Go Stepping Too'. 30. What's The Matter Now?